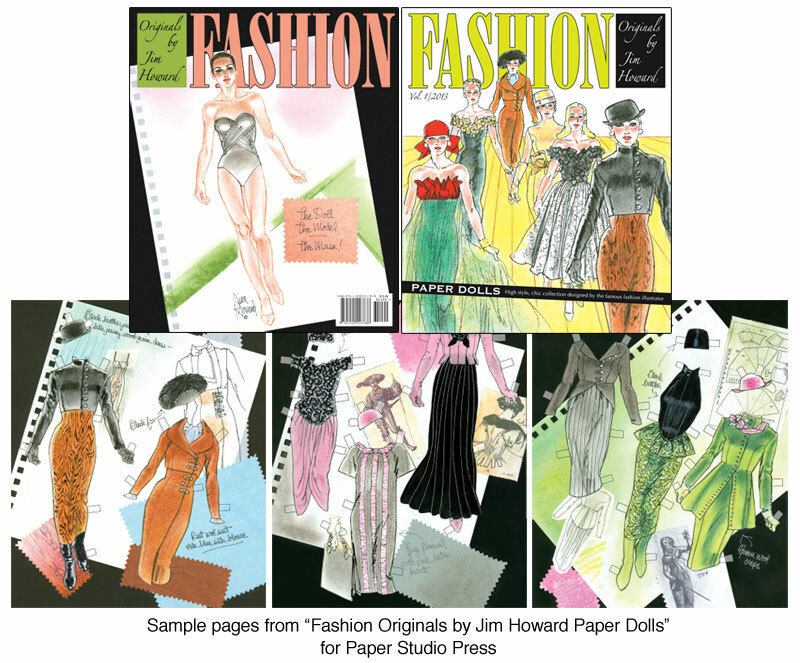 Fashion Originals by Jim Howard is a chic tour de force by a very famous fashion illustrator. 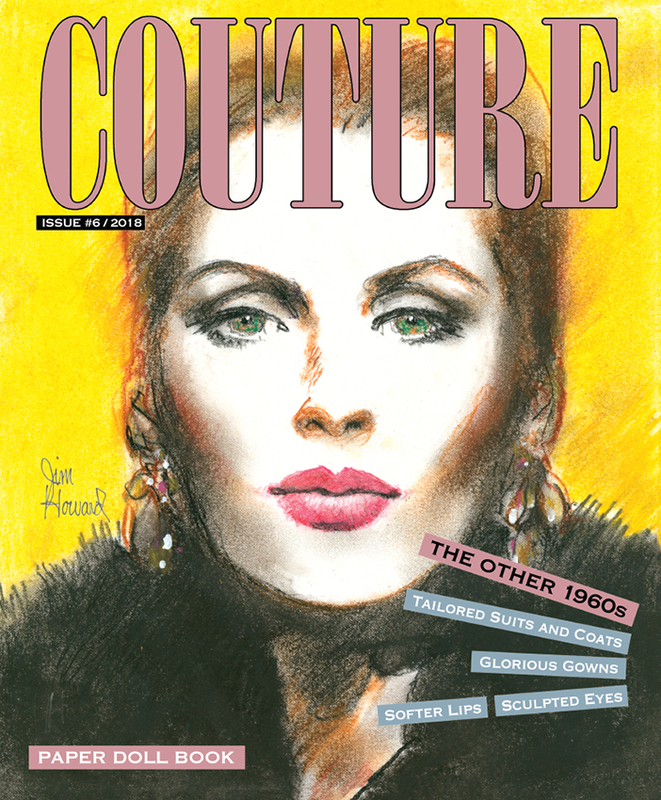 This highly acclaimed artist has created his very own collection of fashions, an elegant expression of all the expertise he gained during decades of drawing clothes created by the world's top designers. 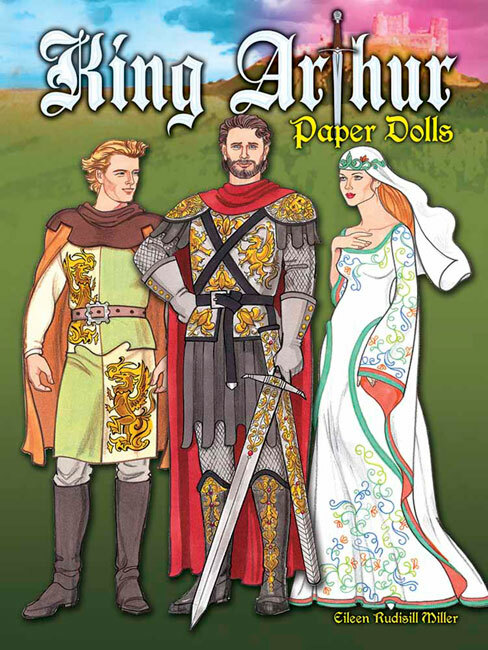 Now it's his turn to design an original collection, clothes that will ever only exist only on paper, to be cut out and worn by the sophisticated paper doll model in this unique book. 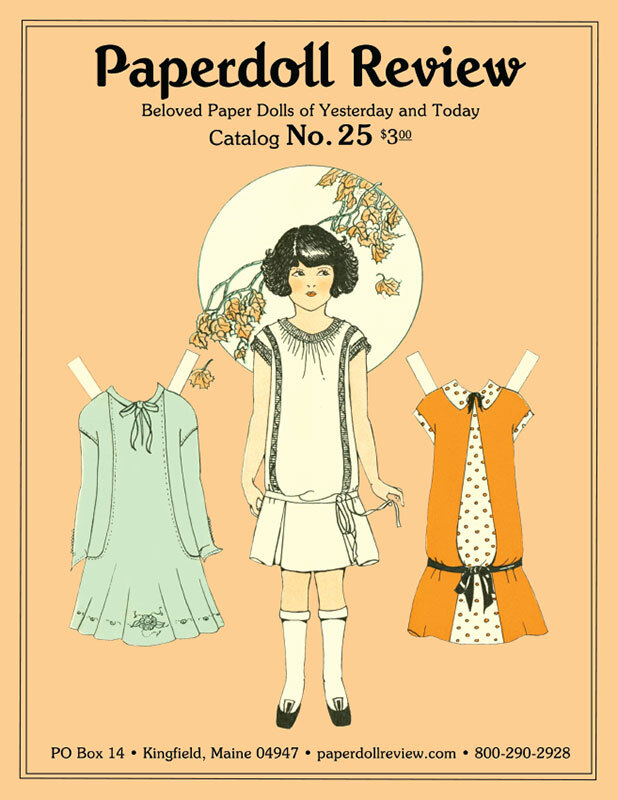 Eight pages of smart fashions perfectly accessorized for daytime and evening, tailored suits and chic dresses as well as breathtaking gowns. 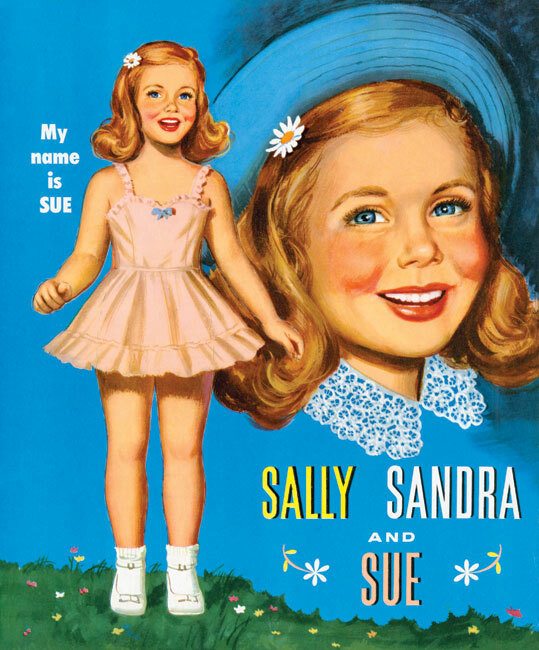 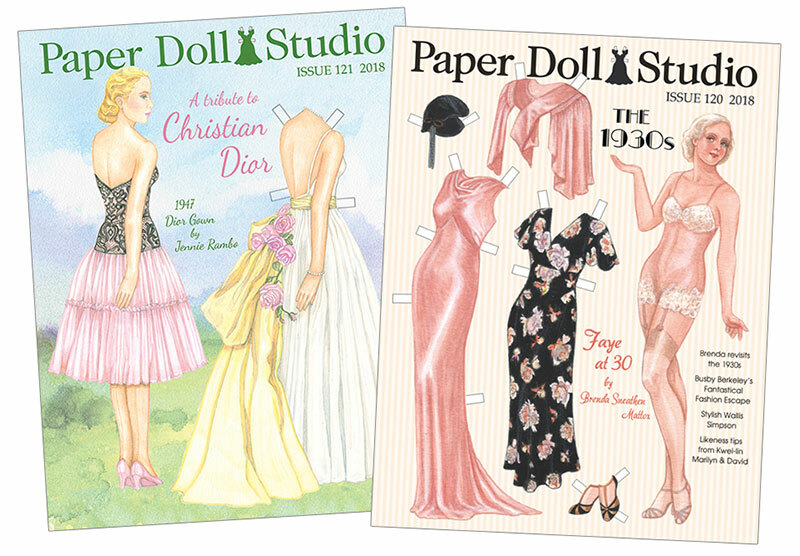 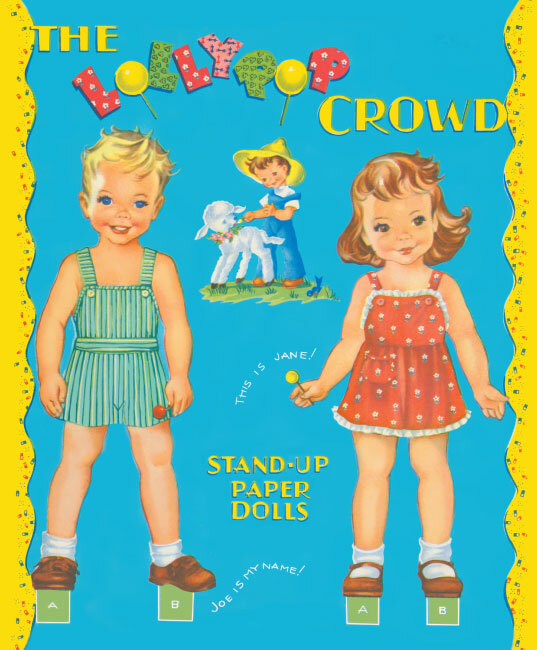 This paper doll book is a shopping daydream for fashionistas as well as paper doll collectors. 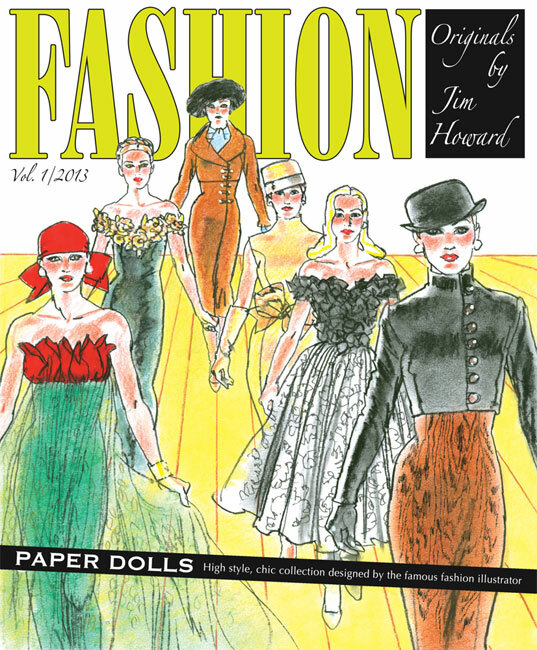 Included is an insightful interview with Jim Howard by fashion expert, David Wolfe.